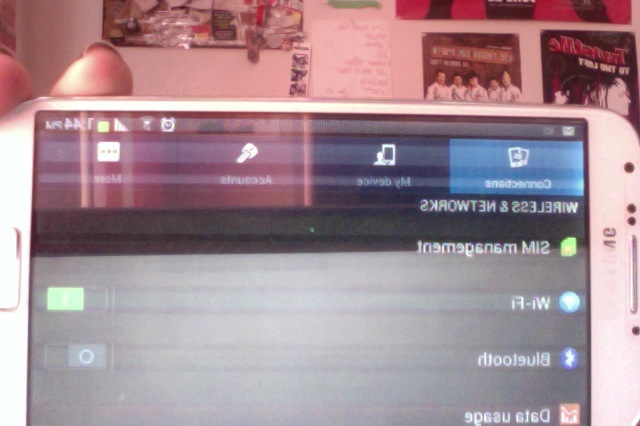 Samsung Galaxy S4 screen acting up! So my phone started acting up randomly yesterday it has thin white lines throughout the screen but in some cases it has green lines and the lines don't go all the way through the screen. This is a horrible explanation but i just really need help! How long have you have the device? Anyway you may be able to get it repaired under warranty? Hello and welcome to AC! Also, and I don't mean to scare you but a coworker got almost the same problem today after he got his GS4 wet. His phone fell inside a small body of water at work and no one noticed until a few minutes later. The most important question right now, in relevance to whether you may have a claim or not, is if you have ever damaged the phone. This includes dropping it, getting it wet, etc. 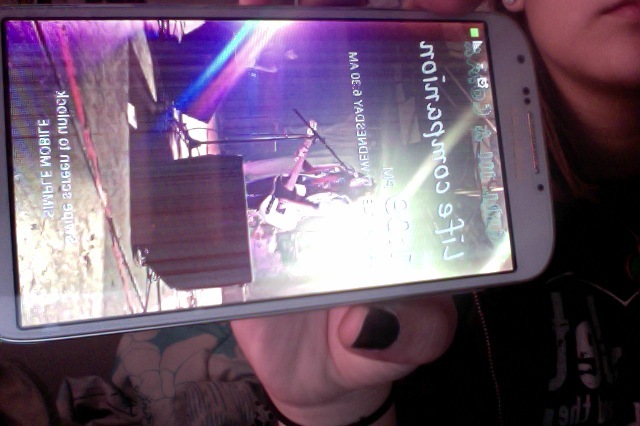 The damage in the picture above seems to be in the LED/LCD screen (can't remember which one the s4 has? ), a hardware issue, not a software issue. If it is in fact a hardware issue caused by user neglect, you will have no claim as far as warranty, but may still be able to file a claim with your insurance company, credit card company, or renters insurance for cheaper than the repair may cost you. Are you sure you didn't put a lot of pressure on it or got it wet? Have you done a factory reset just to see if it's something from software? I'm not really sure it's software but it doesn't hurt to do a factory reset at this point. Is it still happening or was it temporary? The reason I ask is because my S3 did the same thing during my daughter's wedding reception, actually just during part of the reception... rest of the day it was fine. I have no idea what caused it as there was never any damage done to it... I can't even blame it on the 4.3 update cuz that was 12/18 & the wedding was 9/1. At any rate, the phone is fine now but the cake cutting pix I took with my phone came out terrible... they looked just like your screen shots. Hope your problem resolved itself too. Maybe it did fix itself, itssel hasn't been here. Hopefully she got it fixed. 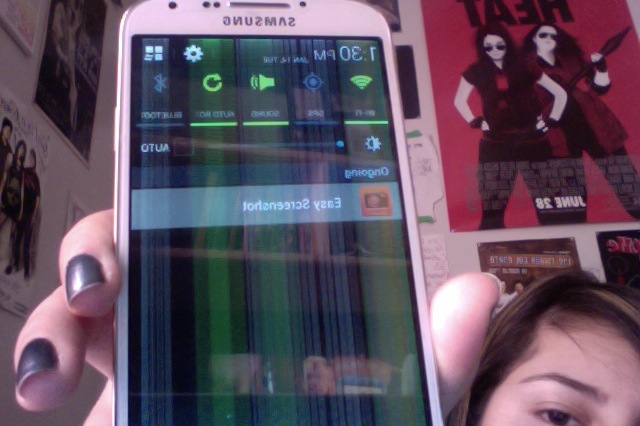 Note 3: screen won't come on! !